Many of those diagnosed with pancreatic cancer already have (or will get) diabetes. Pancreatic cancer often leads to a significant amount of unintentional weight loss; therefore, a typical diabetic diet may not always be appropriate. If blood sugar is well controlled (or even somewhat controlled) one is usually able to follow a more liberal diabetic diet. The higher the degree of weight loss or malnutrition, the more liberalized the diabetic restrictions should be. Difficult to control blood sugar can be managed with oral medications or insulin injections, as prescribed by a physician. In general, consuming added sugars is unhealthy and should be avoided in excess. 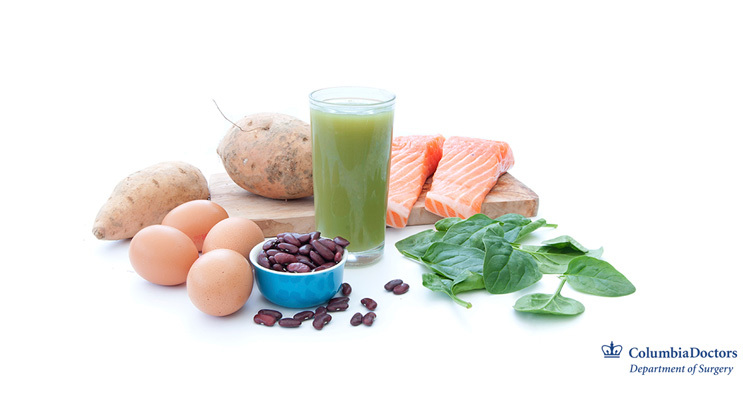 Whether or not a patient is diabetic, eating nutrient dense foods with plenty of fat and protein during treatment is a wise choice. That being said, there is nothing wrong with enjoying a sweet treat every now and then, especially if you are eating much less than usual and are losing weight. At that point, stopping any further weight loss is the first priority, even if that means more sugar in your diet. Aim for 3 meals per day with around 4 carbohydrate servings at each meal. In between meals, snacks are encouraged and may include up to 1 carbohydrate serving per snack. Examples of healthy, nutrient dense snacks include nuts and nut butters, sliced cheese, cottage cheese, hummus, plain yogurt, slices of turkey, tuna or egg salad. All of these foods are very low in carbohydrates and also provide a good amount of calories from protein and fat. You may include a serving of a nutrient rich carbohydrate such as ½ banana, a small apple, pear, or orange, ½ cup of cut fruit or berries, a slice of bread or small pita, or vegetable slices. Be sure to not purchase any “diet” foods if you are struggling with unintentional weight loss. Rather choose full fat foods (ie: full fat yogurt instead of fat free or low fat), and keep your intake of carbohydrates consistent when possible). Sometimes, I find a patient eating so little that diet restrictions are not warranted, even with diabetes. If you need help managing your diet, ask your doctor for a referral to a dietitian who can help you design a meal plan for your individual needs. If you experience gas, cramping, or yellow floating stools after eating a high in fat food, you may need to take pancreatic enzymes. Be sure to discuss this with your doctor and dietitian during your next visit.